Located just outside of Bangkok, Thailand, this course provides a bold test worthy of challenging the best golfers in the world. The layout boasts a total of 7,450 yards, with high sand-flash bunkers, large undulating greens, intricate chipping areas and water in play on several holes. 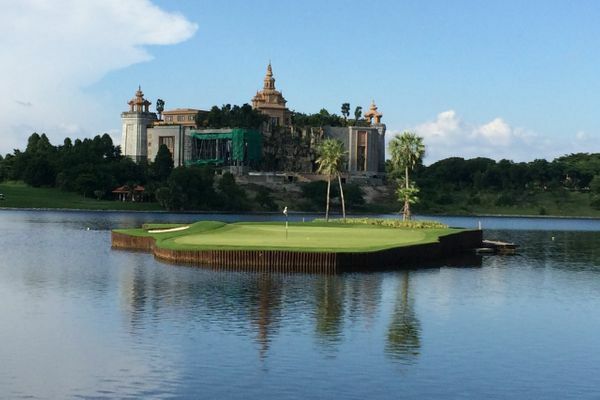 The 17th hole is particularly dramatic, featuring the first floating green in Asia. Voted as the Best Course on the Asian Tour for four consecutive years by the players.